LinkedIn is renowned as the social network for B2B marketing but getting results from the platform isn’t as straightforward as you might hope. You can’t just fill out your company page with some basic details, send out a few invitations to connect with your old colleagues and expect the magic to happen. LinkedIn gives you a dedicated platform to connect with the world’s professionals in a single place but you still need to put the work in if you want to generate valuable B2B leads. And, in this article, we’ve got 10 tried and tested ways to use LinkedIn for B2B lead generation. The most common mistake I see brands and marketers make on LinkedIn is using their company page as a digital business card. Let me make this clear: your LinkedIn company page should be a lead generation page that encourages people to engage with your brand. Nobody cares what year you were founded in; show people what you actually have to offer. 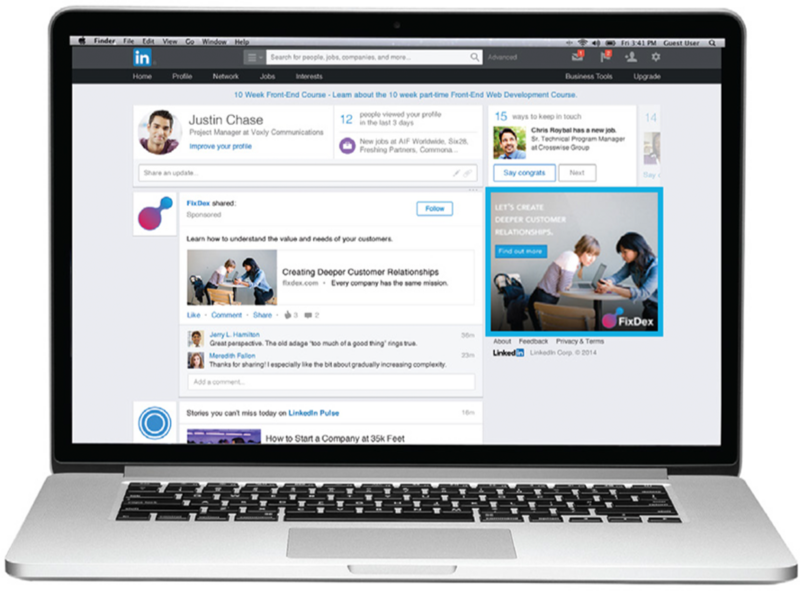 Take a look at Unbounce‘s LinkedIn company page – a brand that knows a thing or two about B2B lead generation. It hits visitors with an offer right away and prompts them to sign up for its latest Page Speed Report for Marketers. This is the first thing people see when they land on the page and all of the other content you’ll find there is about offering value to its existing audience and users. This is the kind of approach you should be taking with your LinkedIn company page. LinkedIn Showcase Pages are designed for B2B businesses that need to promote different products, multiple brands, events and other aspects of a business that has its own specific audience. These “affiliated pages” allow you to create and promote content for each target audience and you can assign different categories to each showcase page. These pages give you the chance to segment your LinkedIn B2B leads more effectively and target them with relevant content. Take Salesforce as an example, which has multiple products to promote and audiences comprising of businesses, agencies and developers. Yes, it’s important to have plenty of connections on LinkedIn but the biggest mistake marketers make on this platform (and many social networks) is to try and get the highest number of connections as soon as possible. The problem is low-quality connections aren’t going to generate leads. You’re only going to get genuine business opportunities from relevant, high-quality connections. The more relevant your connections are, the more likely they are to share your content and engage with it, which means more of their connections get to see it, too. This allows you to grow your presence on LinkedIn organically, rather than the same group of uninterested people ignoring your content. Quantity is important but quality is your priority. Joining LinkedIn groups is an important part of making new connections, engaging with people and building your presence on the network. However, your long-term goal should be to create LinkedIn groups of your own – ones that have large enough audiences to become a source of B2B leads. This will take some time and you’ll need to build up a solid collection of high-quality connections first. You’ll want to establish yourself as an authority in your niche so people trust your groups as a place for valuable knowledge and discussion. It takes a certain kind of content to make this happen on LinkedIn. To make things happen on LinkedIn, you’ll have to be active every day. It’s better to spend 30 minutes or an hour on the network each day than six hours once a week. Take some time to share newsworthy content on a daily basis and add your own thoughts. The first benefit of this approach is it doesn’t cost you anything to create the content you share. It also helps you be active on the network every day and it gives you a medium to express your brand’s position and engage with other users. Crucially, it also shows people you’re constantly up to date with the latest developments in your industry, which is really important for our next step. The phrase “thought leadership” has become an overused buzzword in recent years but the premise behind it is sound. For people take notice of what you have to say, you need to have authority and people want to listen to B2B brands that have innovative ideas. If you’re creating “how-to” content, make sure you’re offering tips people haven’t already heard 100 times before. In fact, you might even want to rethink the “how-to” format altogether and aim for something a little more original. Businesses also want to work with brands that have the expert knowledge and foresight to see where their industry is heading. Things change quickly in every industry these days and business minds listen to industry experts who can help them prepare for what’s ahead. The reason I don’t like the phrase “thought leadership” is because too many publishers think they’re creating original, thought-provoking content when they’re no less generic than everything else out there. To be prove your content is the real deal, back up everything you say with solid data. Data journalism is the art of telling newsworthy stories based on data. This data can come from your own research or third-party sources but the aim is to create 100% original content showcasing new ideas, all reinforced by trustworthy data. Take a look at The Data Journalism Handbook if you’re not familiar with this essential content strategy. The great thing about data journalism is you can still create original with fresh ideas from data that’s been used before. All you have to do is put a different spin on it, add your own insights, present new data and make your arguments. Better yet, you can conduct your own research and deliver 100% original insights to your audience – a fine way of establishing yourself as an industry leader. Bonus tip: Publish your studies and findings in a visual format on SlideShare. It’s easy to talk about creating “quality” content, engaging audiences and all the usual marketing cliches. Actually doing these things is much more difficult but there is one thing every piece of profitable content has in common. It offers some kind of value to the end reader. Keep this in mind when you draw up your LinkedIn content strategy and create every piece of individual content. Ask yourself what value is this really giving to your connections, the people in your groups and whichever audiences you’re targeting. If you can’t answer this question instantly and confidently, your content isn’t strong enough. And it needs to be if you want to build an organic presence on LinkedIn that generates B2B leads. Once you you’re producing content that gets results, you’ll want to consider promoting your best content as sponsored content to maximise reach. Sponsored content is one of the ad formats you can use on LinkedIn to reach a wider and/or targeted audience. One thing I would say about LinkedIn advertising – compared to using Google Ads or Facebook, for example – is that costs-per-click (CPCs) can be significantly higher. So it’s worth waiting until you’re confident your content will get results before you start paying to promote it. 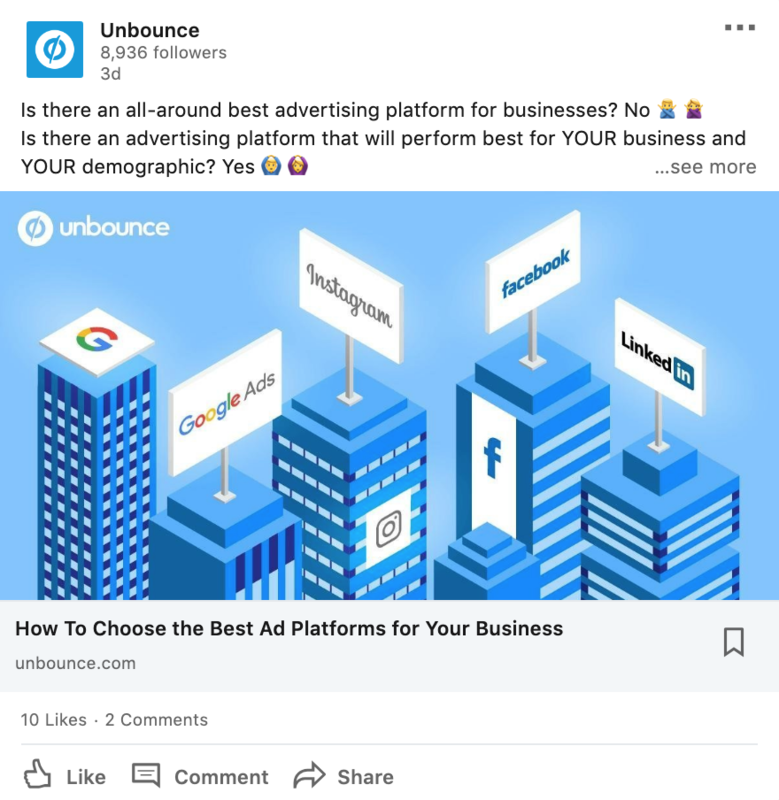 LinkedIn Ads are the best way to make sure your content gets seen by the right people but the network is known for being one of the more expensive PPC platforms (those pesky CPCs again!). Naturally, this can put a lot of B2B advertisers off LinkedIn but higher CPCs don’t always mean you’re going to be out of pocket. The trick with LinkedIn advertising is to target the highest-value audiences you’re able to identify – in other words, the most profitable prospects. As a crude example, a software company selling business management tools might want to focus on enterprise brands who are going to spend the most per conversion. 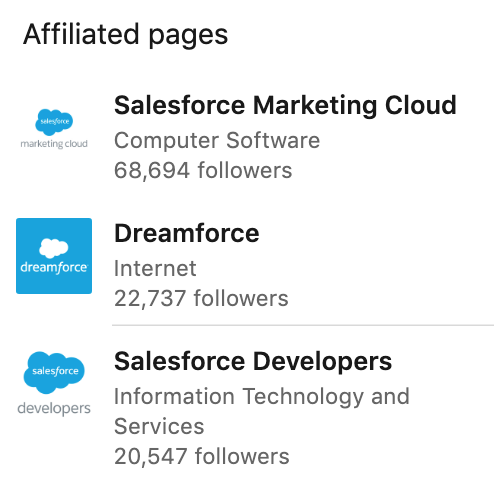 You might be paying more for each lead on LinkedIn than you are on Google Ads, but LinkedIn allows you to guarantee your ads are being seen by enterprise decision-makers. LinkedIn: The ultimate network for B2B leads? LinkedIn has a reputation as the ultimate source of B2B leads for a very good reason. It’s the only major network that connects you with the world’s professionals – most of whom are hungry to do business in some form or another. This doesn’t mean B2B marketing on LinkedIn is a free ride, though. There are millions of business minds using the platform as a marketing channel and you’ve got to get your brand to the top of the queue in your niche. I’m not saying the strategies we’ve looked at in this article are going to turn you into an overnight LinkedIn success. But, with some good-old-fashioned hard work and patience, you will get results with them.